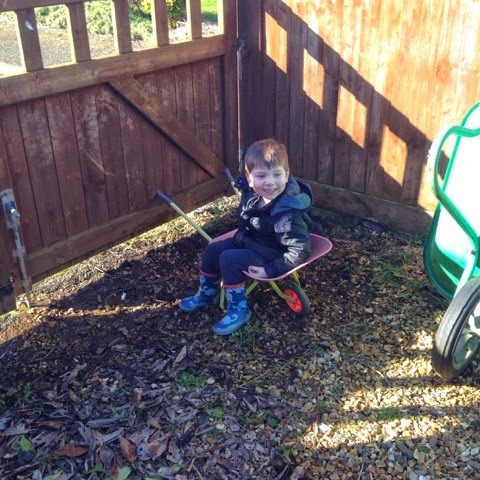 We finally managed to get outside yesterday, the weather was glorious and The Hubs was having a nap so T and I headed out into the garden, we went up to 'The Patch' at the top of the garden and made a start. It's been so neglected since we had T but this year I am absolutely determined to get it looking nice and grow lots of lovely food and flowers. On Friday we went to the garden centre for T to play in the soft play room and for The Hubs to get out and about, we had some lunch. 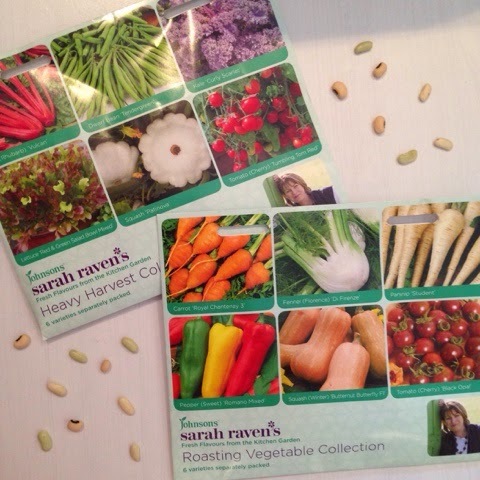 The Hubs didn't feel up to wandering all round but we had a look round the seeds and we chose these Sarah Raven collections, we have lots of seeds already but this had some new varieties for us. 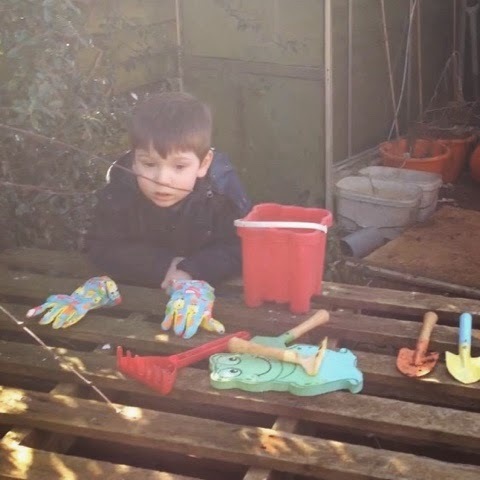 Whilst T know's the usual vegetables and can easily recognise them, some veg like butternut squash, fennel and kale are unfamiliar to him so we spent time looking at the pictures and he helped me plant out those that were ready. We sorted flower pots into order from large to small and vice versa, then we hid the smaller pots beneath the large ones, T loved it! T got some of his tools out and used them, after he finished, he gave them a good clean in one of our water troughs. 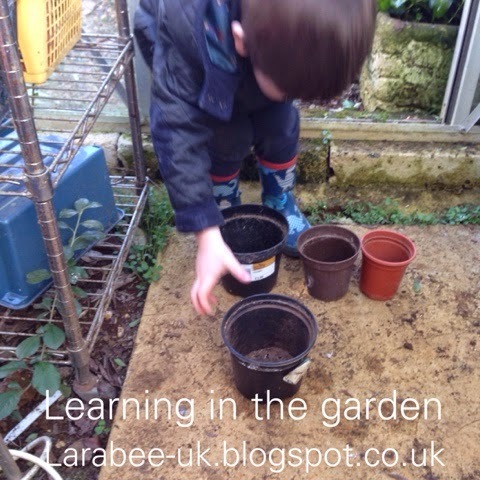 At 3 he's at a perfect age to get out in the garden now, he actually stays where he needs to and wants to learn everything! He did so much he needed a little rest in his wheelbarrow! This weekend has also seen a move from superhero's and ninja turtles on the TV to Peter Rabbit and Mr Bloom which I'm absolutely thrilled about. 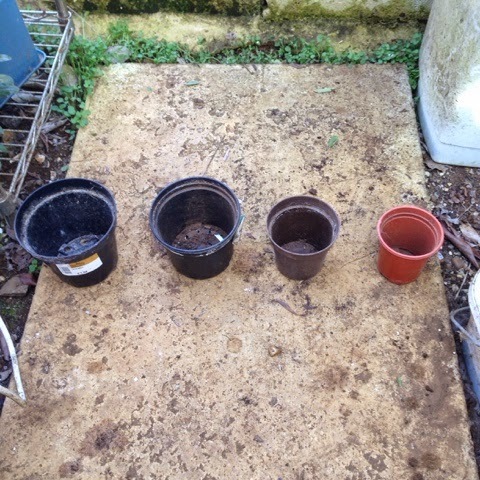 Today we are out again tidying up some more, doing some more planting and washing buckets and flower pots.